Poor diet and lack of exercise can lead to a plethora of physical and mental health problems. These two factors are the primary contributors to obesity, linked with an increased risk for many diseases. As of 2009, 49 states reported an obesity rate of at least 20 percent, with nine of those states reporting an obesity rate of 30 percent or more. The Centers for Disease Control reports obesity in America has increased dramatically since 1985. Causes of poor nutrition include eating disorders, alcoholism, starvation and poor diet. Short-term effects of poor nutrition include lethargy and feeling unwell in general. The National Institute of Health links long-term poor nutrition with a number of physical issues. These include obesity, high cholesterol, diabetes, heart disease, cancer, gallstones, gout and many other health problems. Vitamin and mineral deficiencies resulting from a bad diet link with disorders of the nervous system. Malnutrition in infants can lead to mental retardation and other developmental delays, and malnutrition in pregnancy may even increase the risk of Alzheimer’s disease when the child reaches old age. Poor diet may also contribute to depression. 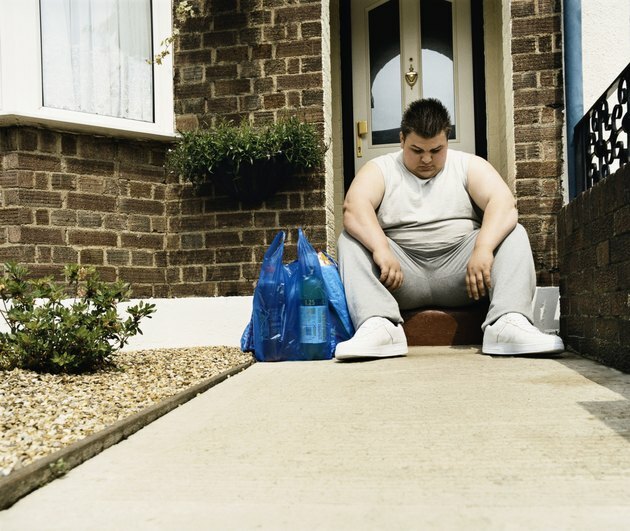 A 2004 study concluded that lack of exercise was the leading cause of obesity among adolescents. Obese teens were more likely to have a sedentary lifestyle, choosing television, video games and computer activities over physical activities. A sedentary lifestyle increases the risk for heart disease, diabetes, high blood pressure, certain cancers, stroke, sleep apnea, osteoarthritis and infertility. Inadequate exercise can have a long-term negative effect on personal appearance as well. A study by the University of St. Andrews reports a lack of exercise exacerbates the visible signs of aging, making people’s faces look older and fatter. The CDC reports that as of 2006, more than 15 percent of Americans suffer depression and more than 11 percent have anxiety disorders. Arizona State University researchers report a direct correlation between exercise and mental health; specifically, exercise reduces symptoms of depression and anxiety. The antidepressant effects of exercise increased with duration and intensity. A study reported in the Journal of Health Psychology showed participants in a 10-week study had significant cognitive and psychological improvement due to exercise. These benefits disappeared when participants stopped the exercise program. “Regular exercise is the only well-established fountain of youth,” writes New York Times personal health reporter Jane Brody. She cites geriatricians who report that lack of exercise has a direct link with poor aging and is a likely cause of premature health decline. Exercise among women over 65 reduces the risks of osteoporosis and fragility by strengthening bones and muscles. A study of people 55 and older found that the most physically active participants were the least likely to suffer from dementia. Does Exercise Affect Your Thyroid Production?